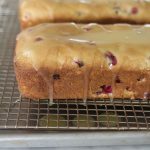 Years ago, way back in the 90’s, my friend Carolee gave me this recipe for Cranberry Cake with Caramel Sauce. It’s perfect for giving to friends and neighbors, or for having on hand for when unexpected holiday guests stop by! 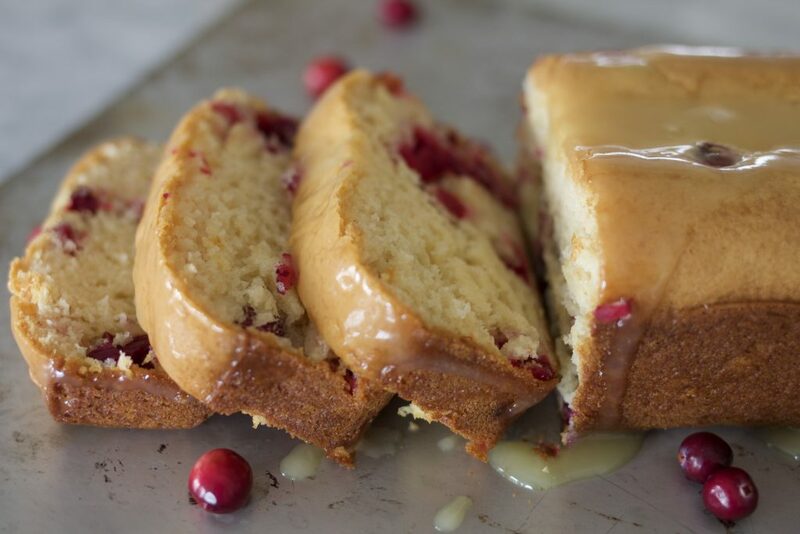 Cranberry Cake with Caramel Sauce is a versatile one bowl, mix and bake recipe. It can be baked in loaf pans, two 9×9 pans, or a bundt pan. 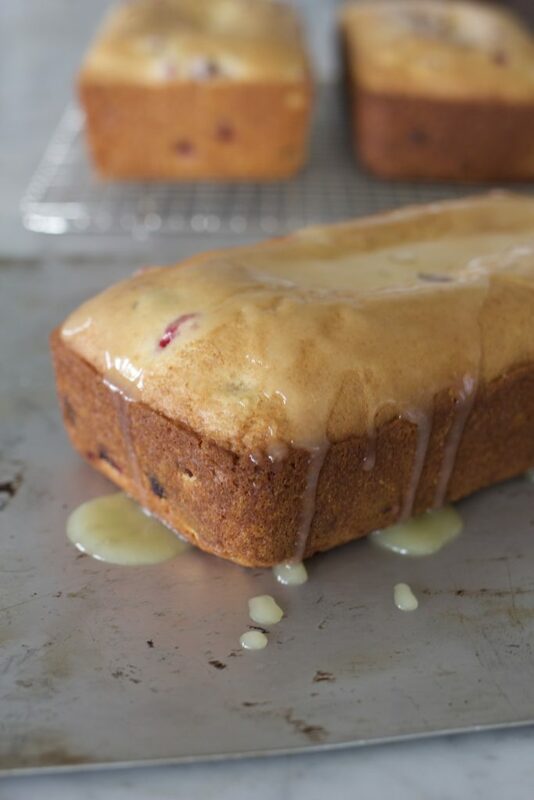 This recipe is a blend of sweet and tart cake and a sweet and sticky glaze which can be left off if you’d rather…but I highly recommend the sauce on top of the cake! I love the festive look of this cake. 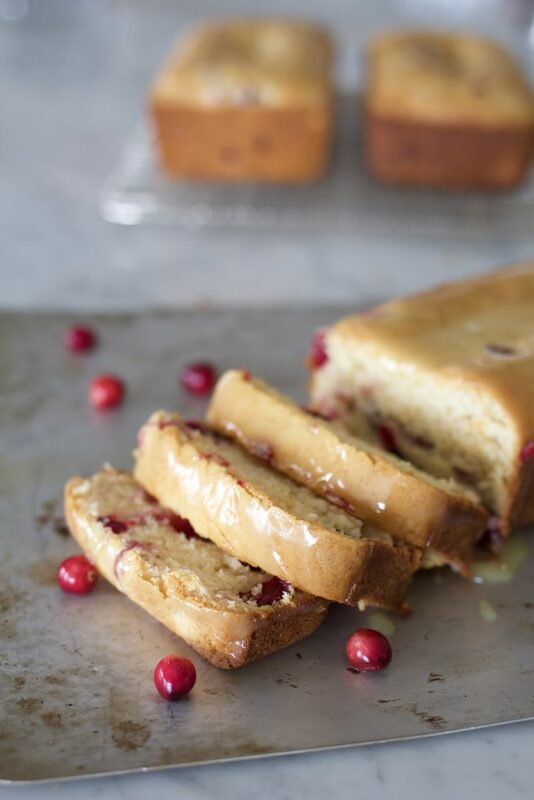 The buttery, yellow cake with splashes of bright red cranberries are absolutely perfect for the holidays. This recipe freezes well and can be made ahead and then thawed and topped with the sauce after thawing. I recommend heating up the sauce and serving it warm alongside the cake if you’re using this for a dessert. If you are leaning in the direction of cutting and leaving out on a buffet table for brunch, top the cake with sauce and let it set up for a few minutes before slicing for best results! This cake is made of butter, sugar, flour, baking powder, salt and evaporated milk. The first time I looked at this recipe, I wondered if Carolee had left out the eggs. 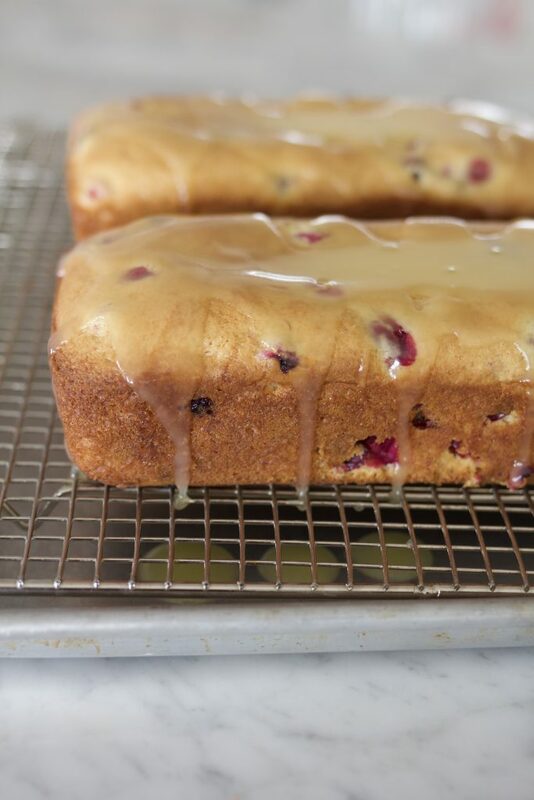 I think I may have called her to double check… There are no eggs in Cranberry Cake with Caramel Sauce. So if you’re allergic to eggs, this is your dessert! I know you’re going to love this super simple and delicious treat. Happy holidays! Turn oven to 350 degrees and set rack in center of oven. Prepare pans by lining bottom with parchment paper* and generously spraying sides and bottom with cooking spray. 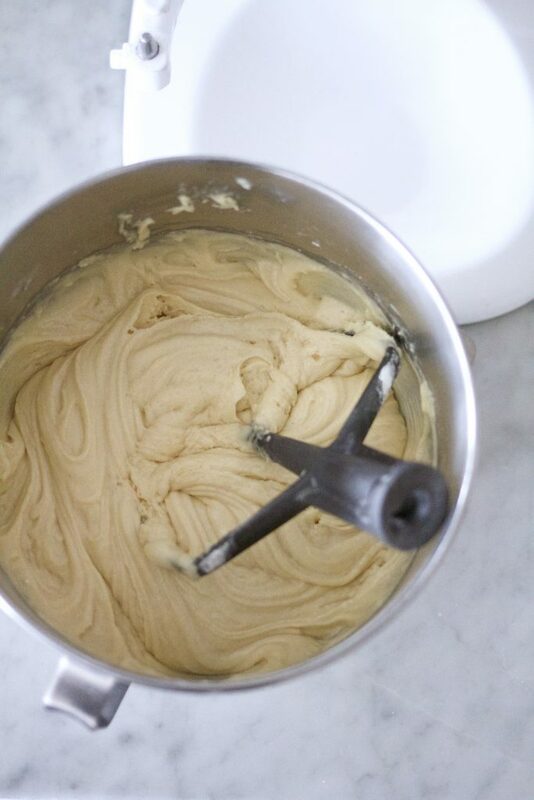 Cream the butter and sugar in a large bowl or the bowl of a stand mixer. Add flour, baking powder, salt and Evaporated milk to bowl. Mix on medium speed until smooth. 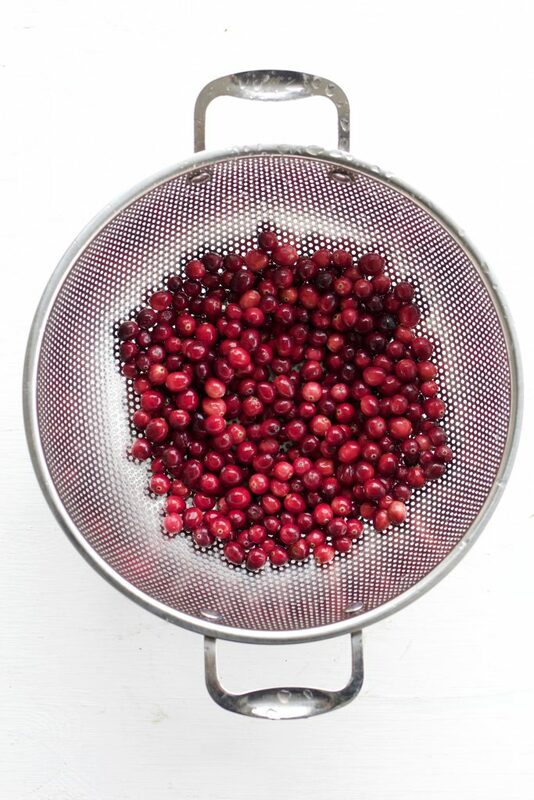 Fold in fresh cranberries by hand. 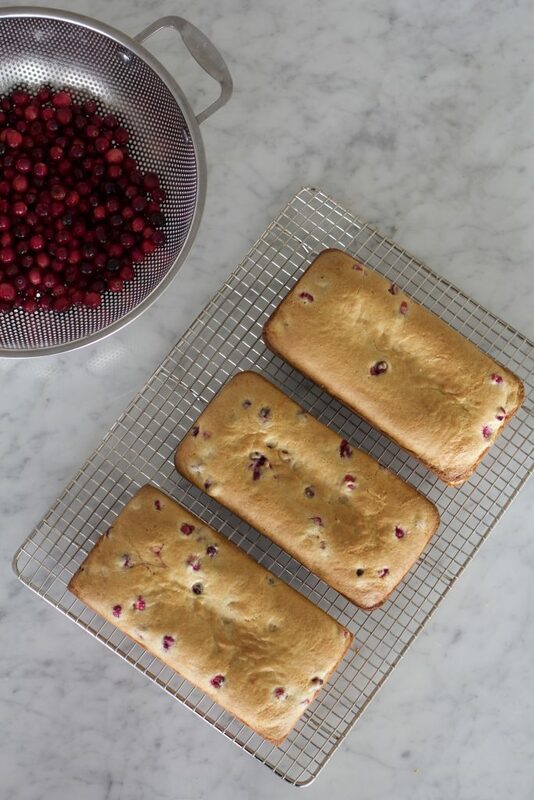 Do not use mixer or cranberries will bleed into batter, making the batter pink. The batter will be very thick. Divide batter into three 4 1/2 x 8 1/2 inch loaf pans (standard 1 lb loaf pan). Bake at 350 degrees for 40-45 minutes or until cake springs back lightly when touched or toothpick inserted in middle of loaf comes out with a few moist crumbs attached. Remove from oven when done. After 5 minutes, loosen cake from pan by running a knife around edges of pan. Let cool on cooling rack for 30 minutes. Prepare sauce by whisking butter, cream, sugar together in a pan until butter melts and sauce begins to thicken. The sauce usually takes about 5 minutes over medium heat to cook completely. Add salt and vanilla and remove from heat. Pour sauce over loaves of bread and let sit for 10 minutes before slicing. -This may be made in 2 9x9, three 1 lb loaf pans or a bundt pan. -The recipe is easily halved, and can be baked in a 9x9 pan. -I use parchment to line the bottom of the loaf pan, place the pan over a sheet of parchment and trace the bottom of the pan, then cut out to fit pan. Hi Si, how long do you cook and at what temperature if making in a bundt pan? Also, is shortening and flour ok to grease the pan? Thank you! I tried this as a bundt. It was still pudding in the center at 40 min. We went to 65 minutes and watch the top for darkening. Also, I only buttered the dark pan and it still stuck a little in the bottom on one side. Will try sprinkling granulated sugar after greasing well next time as I dont like the look and taste of flour. Also used 1/2 c brown sugar and 1/2 c white in the sauce and turned out beautiful glossy amount for pouring over a bundt.